Our company specializes in the production of wholesale mine transport equipment - four unlike mine trucks, mining dump trucks, engineering dump trucks, dump trucks. It can be used as mine slag and can also be used as sand and concrete for construction sites. At present, the company sells a large number of four cylinders and 8 tons of cars, and welcome new and old customers to come and buy them. 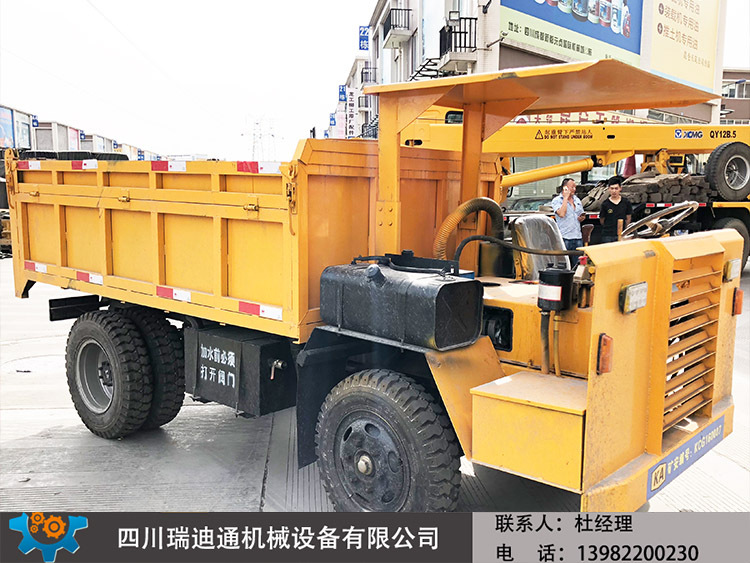 Mine 8 ton 4 unlike the main car is equipped with a FAW Xichai 64 horsepower diesel engine, Fujian Wanteng 1045 air brake front axle, Fujian Wanteng 1069 casting air-break brake rear axle, even Sheng 145 gearbox. All the big pieces are produced by large factories, and the quality is assured. Four cylinder 64 horsepower car configuration: Xichai 64 horsepower engine, 145 transmission, 1045 air brake front axle, 1069 air brake rear axle, full hydraulic power direction, 8 thick moment tube girder, car floor 6 thickness, side plate 4 thickness. Strong and durable, front wheel 6.50-16 mining tire, rear wheel four 7.00-16 mining tire. Install tail gas filter. Double liquid pressure coping. The level road is loaded 8 tons. The design of the car is low, not simple shed, the average height of the driver will not exceed 1.75 meters, suitable for use in low tunnel. The car has a mine safety certificate. Please feel free to purchase it.